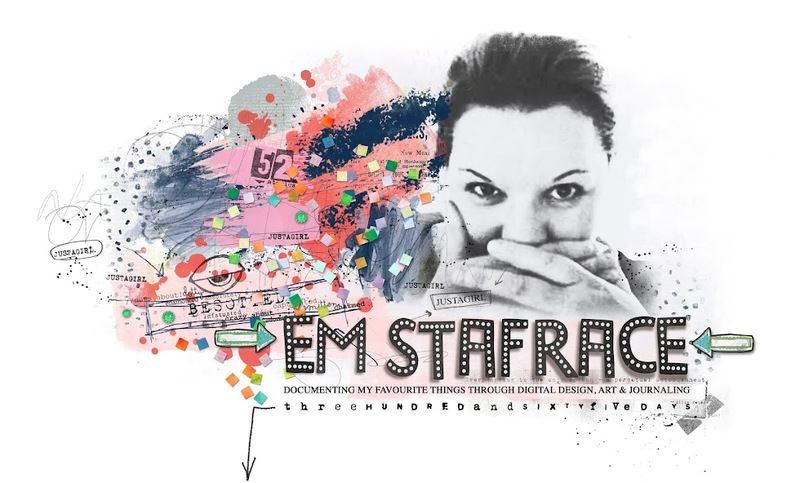 Em Stafrace| Just a Girl with Ideas: ONE OF A KIND TO ME! ONE OF A KIND TO ME! I know I open almost every post with an OMG but it's May already! 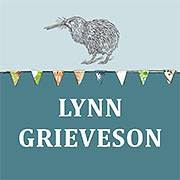 I wish I could stop the clock for a day or two just so I can catch up on a quizzillion little things, I would hazard a guess you probably feel the same way! Mother's Day is this month. To celebrate this special day, Page Drafts is having another fabulous sketch challenge. 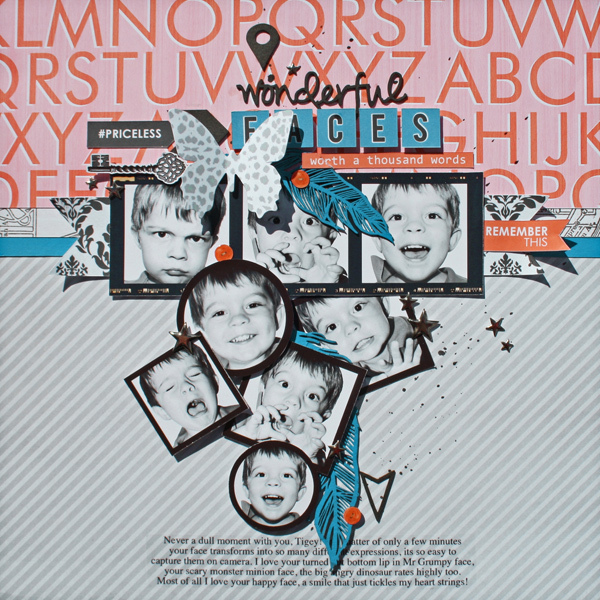 The theme is to scrapbook your special 'One of a Kind' mum or that someone in your life that is special to you. Our main sponsor is 'Imaginarium Designs' and the fabulous ID Design Team have teamed up with Page Drafts May special guest artist Kay Fatula. 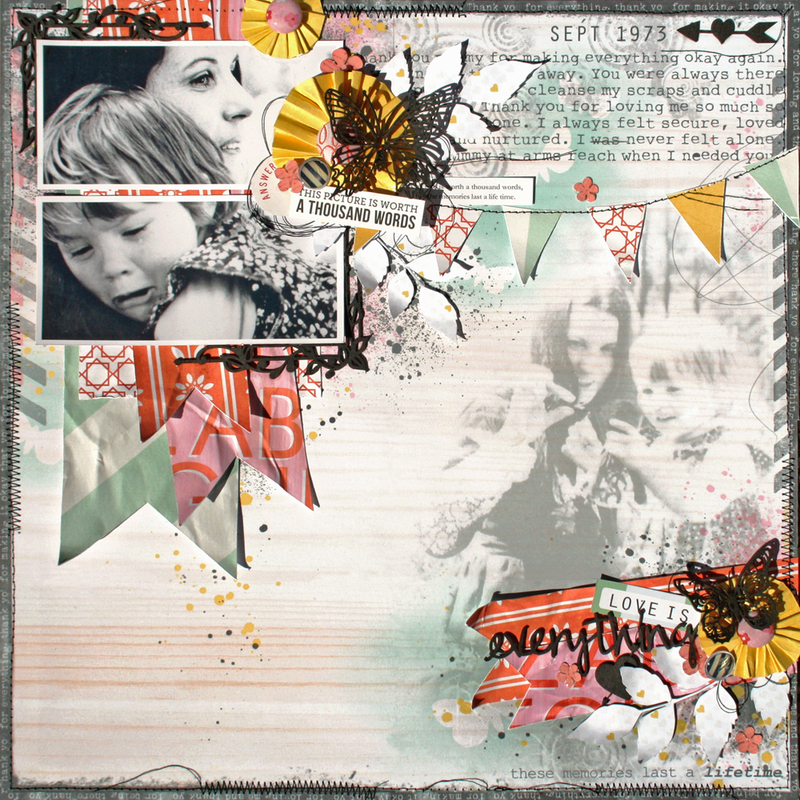 Together they have created beautiful projects for the Page Drafts 'One of a Kind' Challenge release. To check out all the details scoot on over. Natalie May the DT co-ordinator of ID Chipboards sent me heaps of beautiful chipboards to play with. These are the pages I created of my special peeps, especially for the release. I did my usual Digital/Hybrid versions of each one and had so much fun using the gorgeous ID chipboards wow I love 'em especially the tinies they are great for tucking into those little voids that need filling! This page is of my mum and I when I was 3. Mum is just so beautiful in these shots I can't help but scrap it over and over again, he he. Love you mum happy mothers day...everyday! 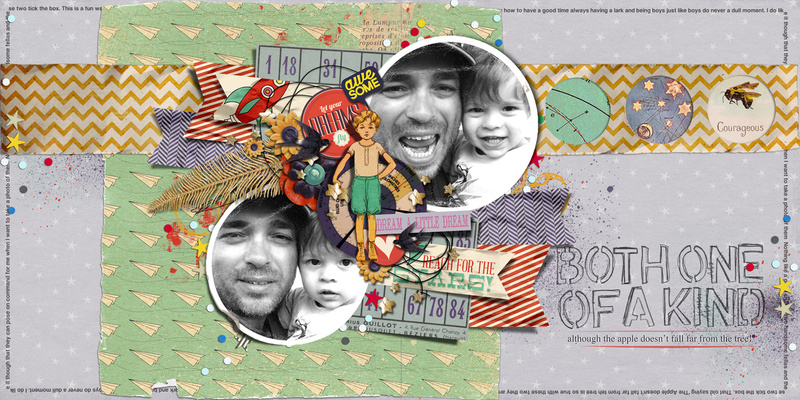 This one is of course all about my 'One of a Kind' little boy. I swear these photos were all taken in one short photography sesh. If there is one thing I would point out about parenthood is, seriously there is nothing that can prepare you for the wrath of a cranky toddler let alone a succession of emotions within a 5 minute time span. They can range from euphoric happiness to that scary monster/minion/dinosaur creature that lurks within your child! Most of the time I am in a spin as a parent but hey I wouldn't swap it for anything! Lastly here is the last page I created for the release its using the double page sketch. I am having a bit of fun with the doubles lately but as you can see they are just as easily interpretted as a single page design too. I love the versatility of sketches don't you? So thats it, I am impressed I have managed to create a couple of traditional pages hope you like them! It would be great to see some of my scrappy buddies join in on the Page Drafts challenge, so come on over and have some fun! enjoying time with the ones you love! Just so fabulous! Amazing pages. Thank you for the inspiration! These are all fabulous Emma! You have an incredible sense of balance that shows in all your work. Go you! 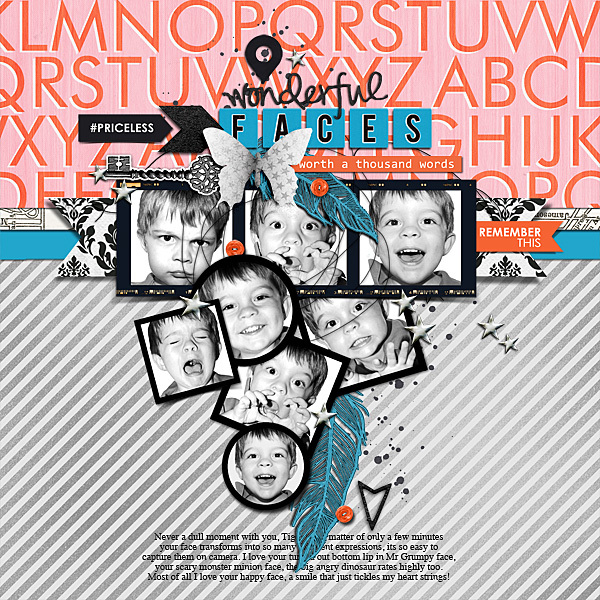 Fab pages, all of them, Em! Love your style. That top one is just so heart-touching!